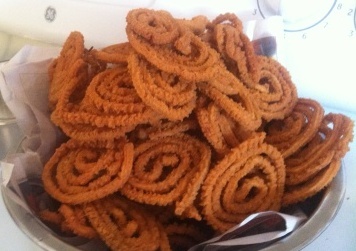 Today’s guest post is by Krishanthy Kamalraj, who has previously shared her recipe for murukku on this blog. We have another of her lovely snack recipes, with a short intro about the dish from her, today. This is somewhat different from Cassava curry. Those days, people in Jaffna usually had cassava plants in their home garden for their own consumption. 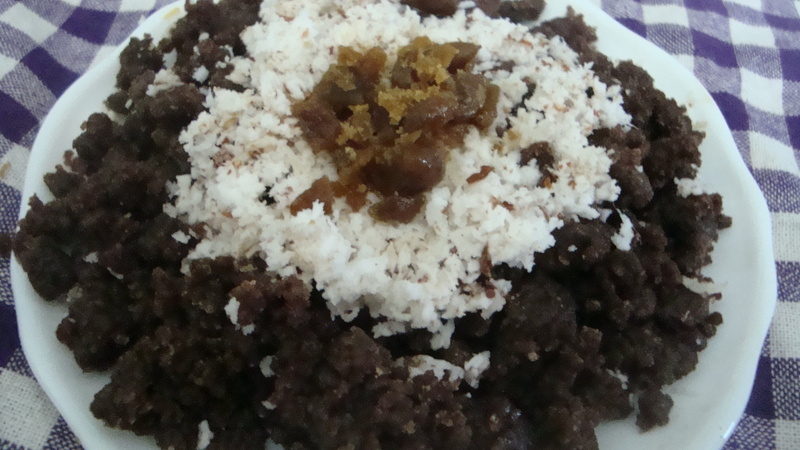 My grandmother used to make this dish, when we wanted a spicy and filling snack. 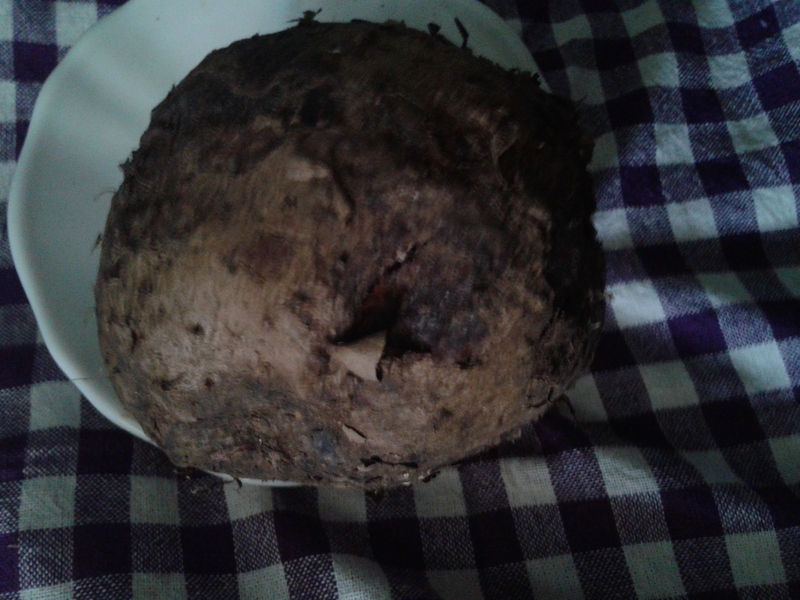 She dug out immature cassava yam from the garden and made very delicious cassava thuvaiyal for us. 1. 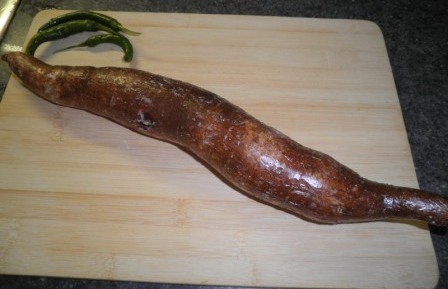 Thoroughly wash cassava yam and peel the skin. 2. 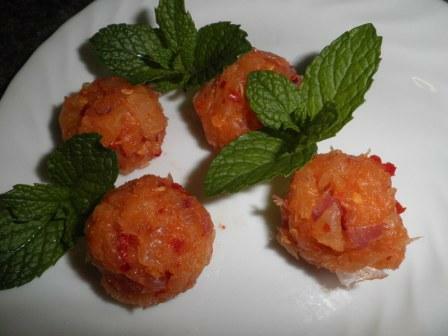 Cut the yam into small cubes. 3. Put the cut cassava pieces in a cooking pan. 4. Add ¼ cup of water into the pan and cook well over medium heat. 5. 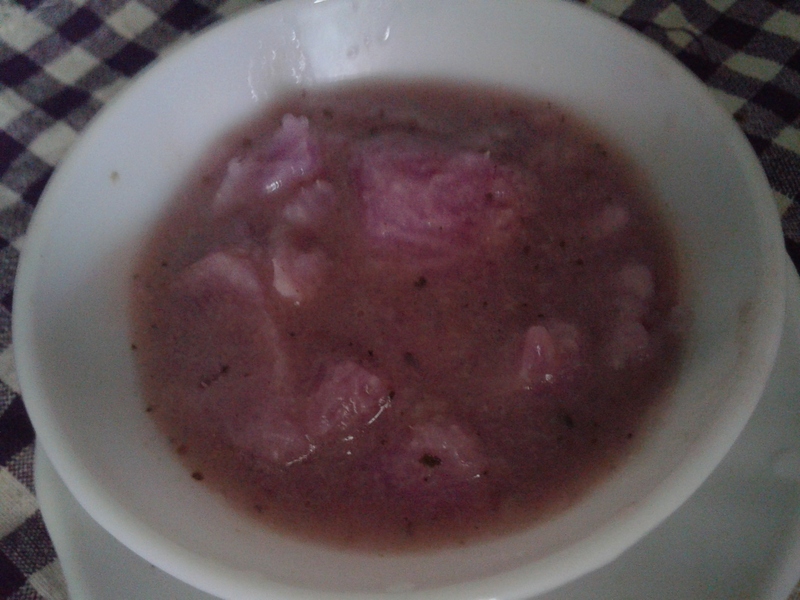 When cassava has been cooked well (able to slightly smash cassava pieces with spatula), remove from heat. 6. 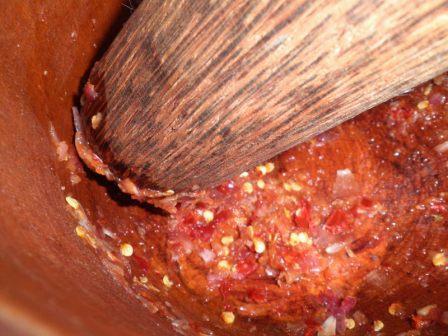 In a mortar, add salt and red chilies. Pound well until it becomes a paste. 7. 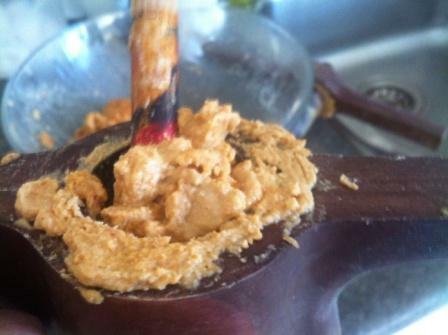 Add cooked cassava and pound well with pestle until it mixes well with chili paste. 8. Add cleaned small onions into the mixture and pound well. 9. When the mixture has reached the consistency to make small balls, take out from mortar. 10. 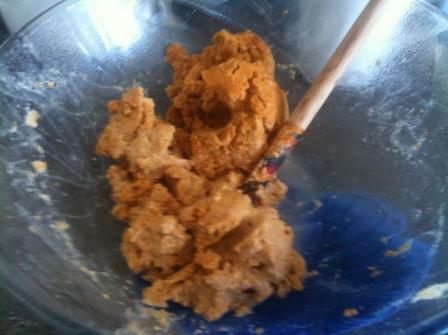 Using hand, make small balls of the mixture. 11. 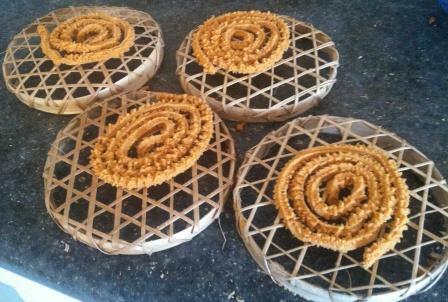 Now cassava thuvaiyal is ready to serve. Re-posting recipe: Today’s recipe is from my great-grandmother, as remembered and occasionally replicated by my mother. Soak the toor dal for 3 – 4 hours. Chop up ¼ onion and 2 garlic cloves and fry them in 1 tsp oil in a pan. Add ½ tsp cumin powder, ½ tsp fennel powder and a pinch of asafoetida to the pan. When the spices combine and their aroma starts coming out, add ½ tsp salt. Add the toor dal to the pan and mix well and quickly remove from heat. 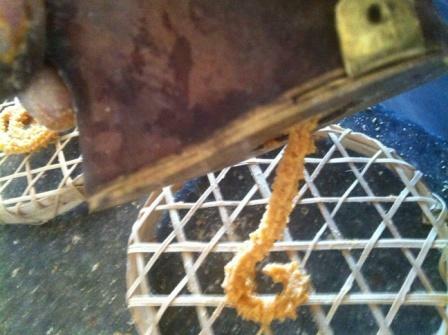 Grind the toor dal mixture, without water or just a little so that it can be made into a slab. Steam the slab of spiced toor dal. 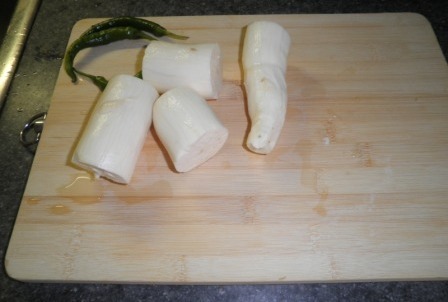 Cut the steamed block of toor dal into pieces and deep fry. Make a spice paste by grinding the scraped coconut and chopped chillies with 1 tbsp coriander powder, ½ tbsp cumin powder, ½ tsp turmeric powder, 1 tsp pepper powder and a pinch of asafoetida. 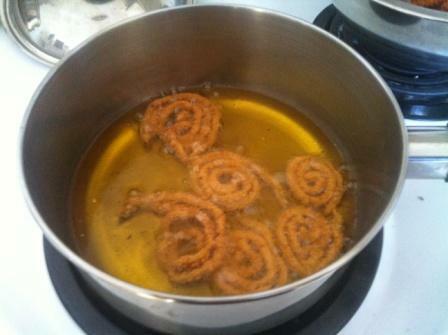 Heat 1 to 1 ½ tbsp oil in a pan and fry the chopped onion (½ onion), 2 garlic cloves and the fenugreek seeds. When you get the aroma of the fried onion and garlic, add the spice paste, mix well and fry. Add the chopped tomatoes and ½ cup of water and let the tomatoes cook. 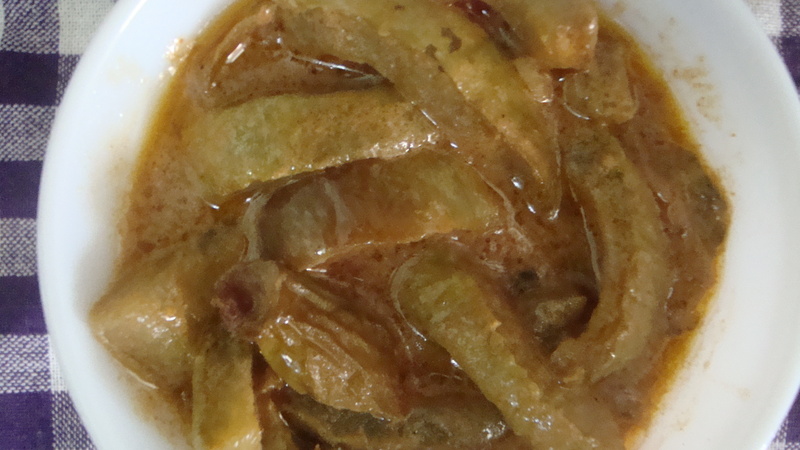 Once the tomatoes are cooked, add the fried pieces of toor dal chunks and ½ cup of thin tamarind extract. Cook for about 10 – 15 minutes on low heat. If you prefer more gravy in your curry, add ½ cup of water.